The nation’s broken voter registration system is a chief cause of long lines and Election Day chaos. Many states rely on a blizzard of paper records that are rife with error while leaving out eligible voters. The Brennan Center’s signature proposal to modernize voting harnesses proven technology to ensure that every eligible voter is permanently registered. The core element of the plan is automatic registration, which would securely add millions to the rolls, save money, and curb the potential for fraud. Ten states and the District of Columbia have approved automatic registration. And almost every state — without fanfare or partisan wrangling — has implemented reforms to modernize voting. Read our fact sheet explaining how a 21st century voting system would work. 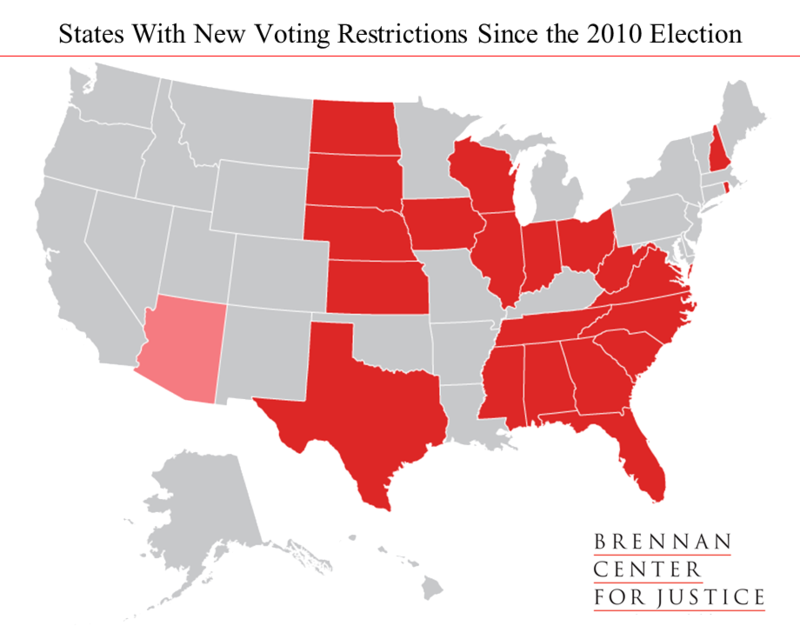 The nation's outdated voter registration system blocks millions from the polls. This comprehensive plan would automatically and permanently register every eligible American to vote. Many states across the country are successfully using components of voter registration modernization. Here is a complete rundown. The Brennan Center supports safeguards for voters and standards for election administration at the federal level — including a national effort to modernize voter registration. A media round-up of the latest VRM news and developments. 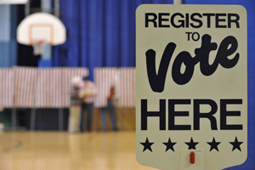 Our latest blog and op-ed posts focusing on voter registration modernization. The reliance on antiquated technology creates barriers to access to the ballot, resulting in millions of voters being left off the rolls or with inaccurate registration records. Obama appointed the Presidential Commission on Election Administration in 2013 to "improve the voting experience in America." The Commission released its report and recommendations in January 2014. The Brennan Center works closely with its federal, state, and local allies to modernize voter registration. This page includes all advocacy and campaign-related materials that can be useful for partners seeking to upgrade registration. In March 2015, Oregon became the first state in the country to adopt automatic registration when Governor Kate Brown signed the “New Motor Voter” bill. Amid the high-profile 2016 election season, there is a strong drive to improve rather than restrict voting access in the states, but many Americans will still face obstacles at the polls this year. In advance of this crucial midterm election, this report details new voting restrictions put in place over the past few years, laws in place for the first time in 2014, and major lawsuits that could affect this year’s elections. See all our 2014 voting resources. Resources from organizations the Brennan Center partners with, which substantiate the importance of voter registration modernization. Michael Waldman, President of the Brennan Center, joined MSNBC's Hardball with Chris Matthews to discuss the state of voting rights. Myrna Pérez joined MSNBC's Chris Hayes to discuss Hillary Clinton's recent call to action for expanded voter access.